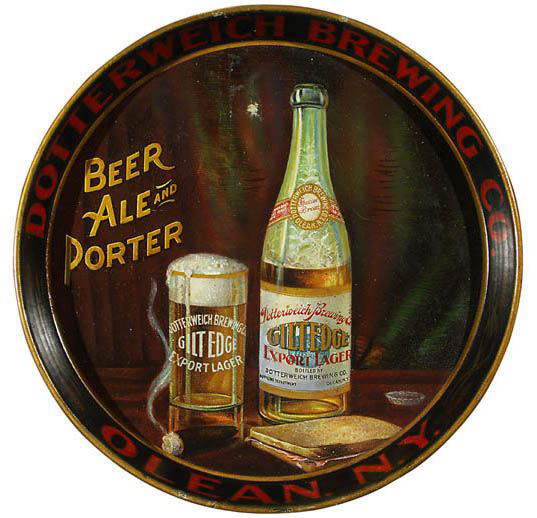 Serving Tray for Gile Edge Export Lager from The Dotterweich Brewing Company out of Olean, New York showing in the center a bottle and glass of the companys brew. There are two different variations of this tray. Red border and a Black border. This is the black border with red lettering. These beer-bottle design trays from Dotterweich have great detail and really drive home the appeal for their products.